I would like to tell you a little about my new scope – Rigol DS1052E. I read about it at EEV blog and I decided to give it a try. I’m very well surprised because it’s a very nice scope and it costs about $350, what’s is a bargain! I bought it at dealextreme and it took less than a month to arrive here. Actually I took about 15 days using EMS. If you google a little bit you’ll discover that there is a hack to increase its bandwidth from 50MHz to 100MHz. It’s very well explained here and here. 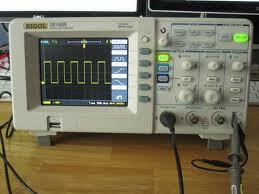 My Rigol’s version was 2.05SP2 and everything worked and now I’m very happy with my new scope @ 100MHz. This entry is filed under tools.